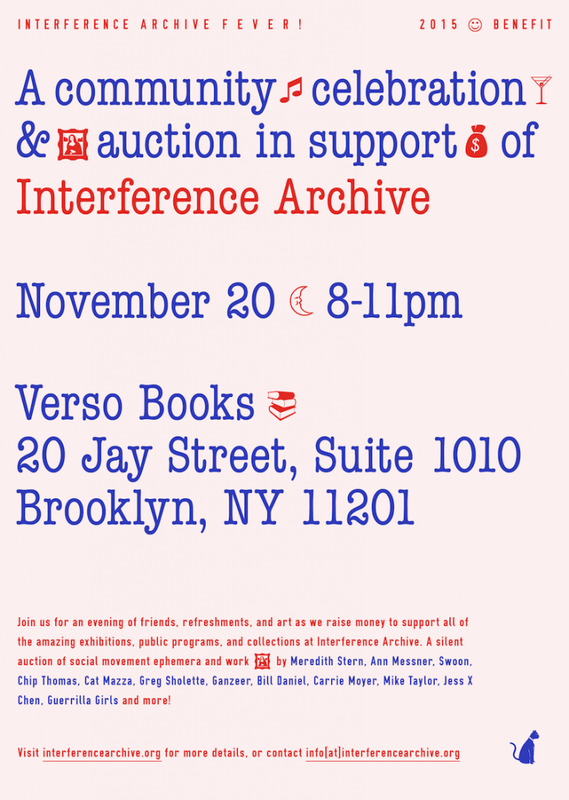 Join Interference Archive for an evening of friends, refreshments, and art as they raise money to support all the amazing exhibitions, public programming, and collections at the Archive. There will also be a silent auction of social movement ephemera and works by Meredith Stern, Ann Messner, Swoon, Chip Thomas, Greg Sholette, Ganzeer, Bill Daniel, Carrie Moyer, Mike Taylor, Jess X Chen, Guerrilla Girls and more! Advance tickets available online starting at $20: buy yours here.